Sleeping is one way of giving the brain the time to restore its energy that was used up during the day. Although it continues to function while sleeping, it is still the only time for it to recharge. Ignoring the need to sleep is compromising the health of your brain which will also affect your overall health. 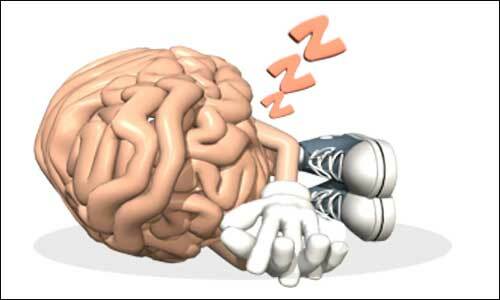 Sleeping provides the body the time to rest while it also gives the brain the time to repair damages to brain cells. Much more than that, sleeping is also a way for the brain to produce new nerve cells. Resting the body and the mind reduce the stress and put the body in full energy again. The oxidative stress that damages much of the body cells will be repaired thus lessen the effect of stress to the body. When you wake after an eight hours of sleep, you can feel the energy renewed and recharged. Sleeping is a way to promote good brain health. By giving your body enough time to sleep, you are also giving your brain enough time to keep its health as it maintains its volume. Depriving yourself of sleep will shrink the brain and may cause a lot of chronic diseases, aside from the decrease in its performance. Sleeping allows the brain to process the ideas and retain memories. By sleeping for at least eight hours each day, the brain becomes improved in its functions and performance, as well as in its optimal health. Studies show that, the more sleep a person gets, the more improved the brain becomes. Many people nowadays are neglecting the importance and necessity of sleep. Instead, they manage tight schedules in doing work and other unnecessary activities at night. This kind of lifestyle is not healthy for the brain and for the overall health. If you think that you will become successful by working hard for longer hours each day, think again, because by giving your body enough time to rest and sleep, you promote your brain to function in its full capacity, thus lead you to the success you are aiming for.